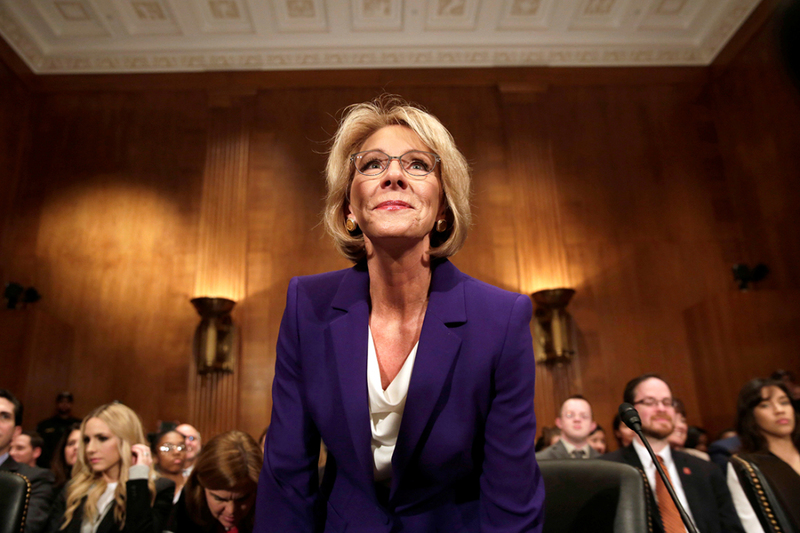 With the help of Vice-President Mike Pence, the U.S. Senate confirmed education choice advocate Betsy DeVos for the post of U.S. Secretary of Education. DeVos is a school reform advocate and has had no experience running or teaching in traditional public schools. Public school administrators and teachers union officials lambasted President Donald Trump’s choice for DOE secretary, deriding her as inexperienced. She is a tyro, however, only if one considers public schools to be the only valid way to deliver education. That is far from being the case, and DeVos’s independence from the education establishment is an immensely laudable characteristic. The federal government has no constitutional authority to interfere in education, but the appointment of Betsy DeVos as Secretary of Education is the best we could hope for short of abolition of the department and all federal intrusion into this state and local matter. Initially taken in by hype over Common Core, DeVos now opposes that effort to nationalize school curricula, which was a truly awful and repugnant idea. We shall have to hope that her conversion remains in effect. Insofar as the federal government unconstitutionally intrudes into K-12 education, it should at least refrain from discriminating in favor of our tragically underperforming traditional public schools. DeVos’ support for school choice over the years suggests that U.S. Department of Education policies will encourage state recipients of federal education money to increase the amount of education choice for all families. That will reduce the damage the federal government does to education – though elimination of all such interference should be the goal of those who want to bring excellent educational opportunities to all of the nation’s children.